This is ReachMD, and you’re listening to Closing the Gaps in NSCLC, sponsored by Lilly. On this episode, titled Pathophysiology Insights: What Clinicians Need to Know we will hear from Dr. Everett Vokes from the University of Chicago. So, just a few years ago we looked at lung cancer and said there’s small cell, and that was a declining percentage that went over the years from about 30% to about now maybe 15%, 14%, and non-small cell being the others. And the first time we had to really distinguish between squamous and nonsquamous, meaning large cell and adeno, was with a large chemotherapy trial that showed that for nonsquamous, pemetrexed was the better agent than gemcitabine, while for those with squamous cell cancer, gemcitabine in both cases partnered with a platinum agent was the better drug. So, that came to where we looked at non-small cell lung cancer more specifically, saying we actually need to know is it squamous or nonsquamous. And then, shortly thereafter, or in parallel, came the recognition that particularly for nonsmokers and the adeno, or nonsquamous group of patients, driver mutations, so-called, were frequently important, although it is not the only group of patients. Sometimes nonsmokers could get squamous cell cancer, and we certainly would want to investigate those as well. But the idea became very clear. We have to know if a patient has a driver mutation, and the ones we’re talking about really here are EGFR mutations, ALK and ROS fusions, then alterations in RET and BRAF and maybe HER-2, and there may be others in the future. So, we want to know if a patient has those, because if they do, we can target them with a specific therapy. And then most recently, as immunotherapy has emerged, we have become interested in knowing markers that guide our therapy for immunotherapy, in particular PD-L1, and here we want to know the percentage of cells that stain, so its immune histochemistry, and another test that’s emerging as being important, which is tumor mutation burden, so counting simply the number of mutations per megabase that can inform, again, whether or not a patient has a somewhat higher chance, or lower chance, of responding to immunotherapy. How can your understanding of the pathophysiology of NSCLC become a roadmap to successful therapy for your patients? 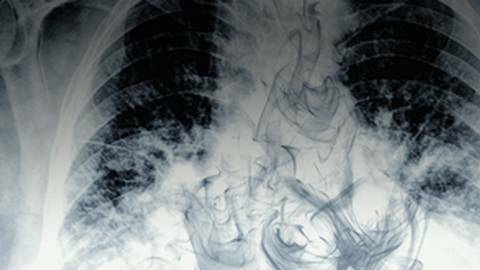 Over the years, we’ve seen insights and advances emerge in the field of NSCLC, leading to better physician understanding and patient management. But at the heart of all breakthroughs and innovations lies the foundation of disease pathophysiology.